FREE Consumer Lecture in Valparaiso! "Good", "Bad", Low Carb/Keto? Join Heather Corneil, Primal Health Expert, to discuss everything carbohydrate & their role in the modern diet. 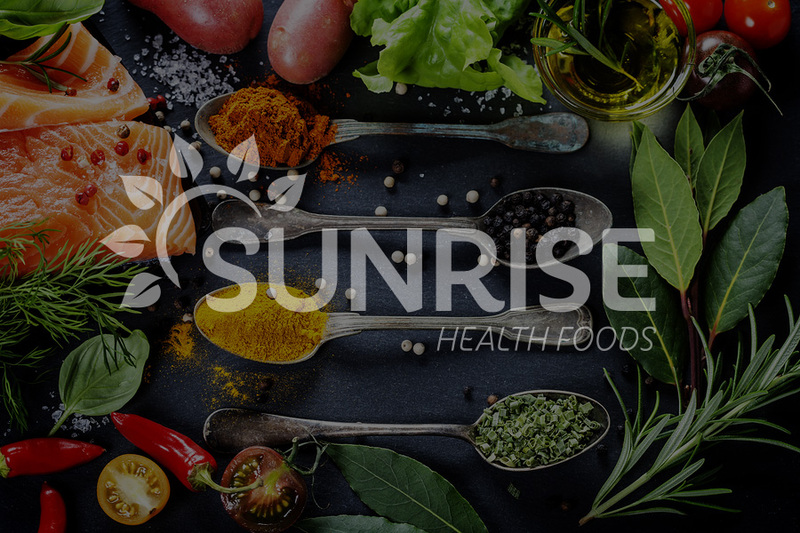 Learn how carbohydrates can affect your health for better or worse & tips for determining which carbohydrates may be right for you. Seating is limited, see an associate or give us a call to reserve your spot 219-465-1984. 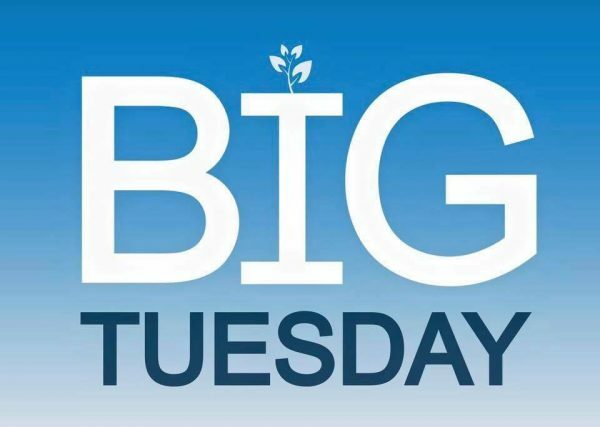 Hemp has been cultivated around the world for millennia as a renewable source of food, fuel and fiber. Throughout American history the strong fibers of the hemp plant have been woven together to make ropes, sails, and clothing. 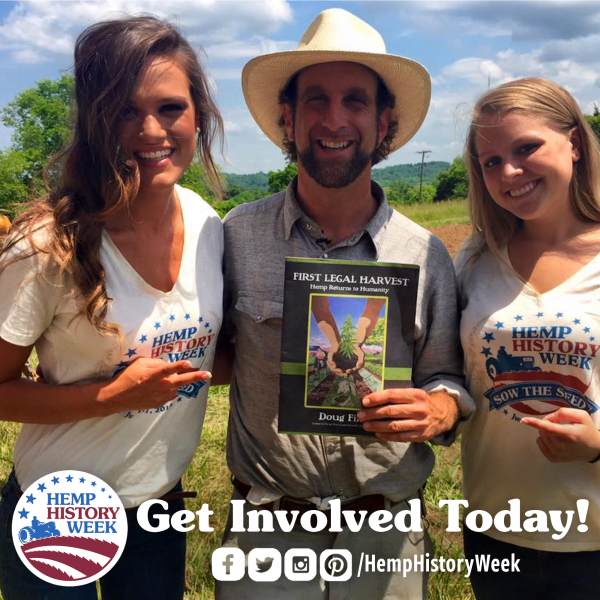 Hemp History Week is a grassroots movement to support the legalization of the industrial farming of hemp in the U.S. that has gained ground in recent years and pioneer farmers are once again cultivating the versatile plant on American soil. Happy New Year! 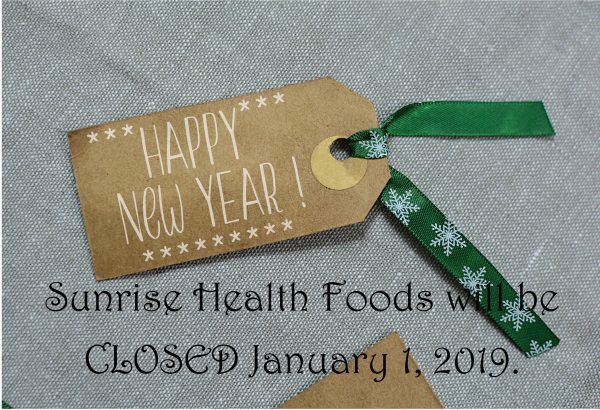 All Sunrise Health Foods locations will be closed on January 1, 2019. 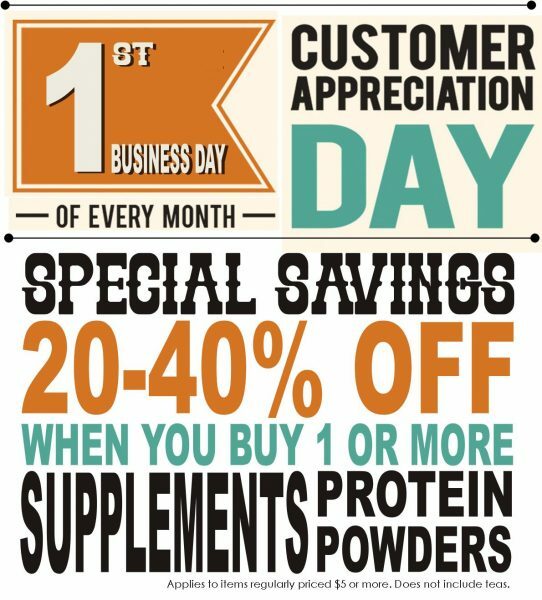 We'll see you during our regular hours on January 2 for our Customer Appreciation Sale! Merry Christmas! 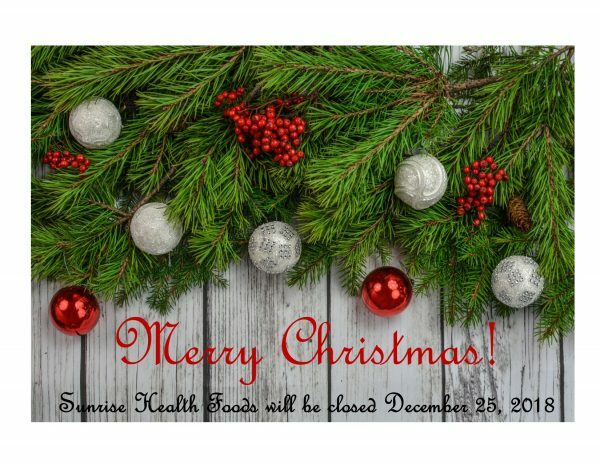 All Sunrise Health Foods locations will be closed on December 25, 2018. 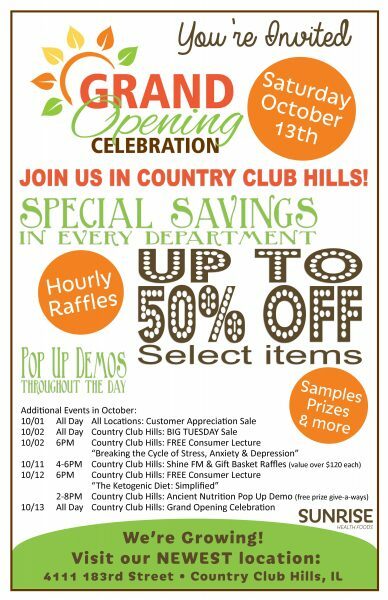 ALL LOCATIONS CUSTOMER APPRECIATION DAY!